Item number 3074/3 from the MOA: University of British Columbia. 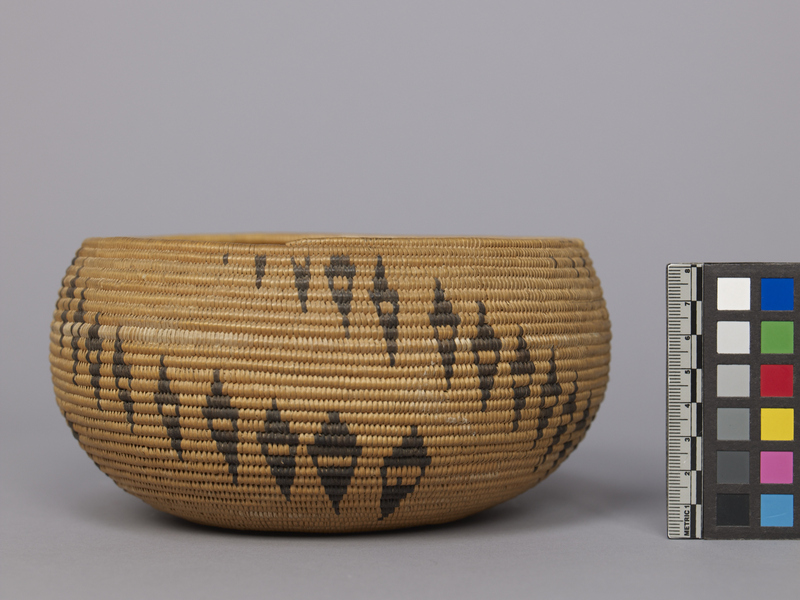 Round basket with imbricated design. Basket is somewhat squat, with a wide belly narrowing to a slightly narrower lip. Construction is redbud ? root wrapped on a willow understructure. 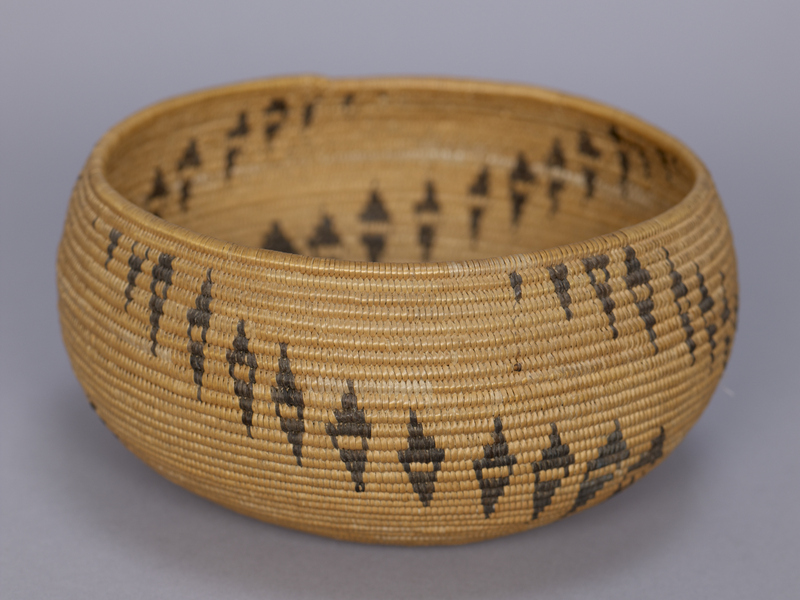 The basket is decorated with acorn dyed imbrication in diagonal lines of diamond shapes.